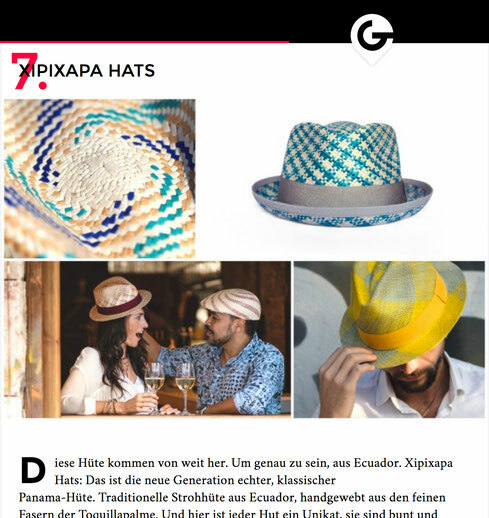 Xipixapa Hats love to be in the limelight and look forward to any contribution in the press. Here is a compilation of previous press comments. "Oh, how beautiful is ... Ecuador!" 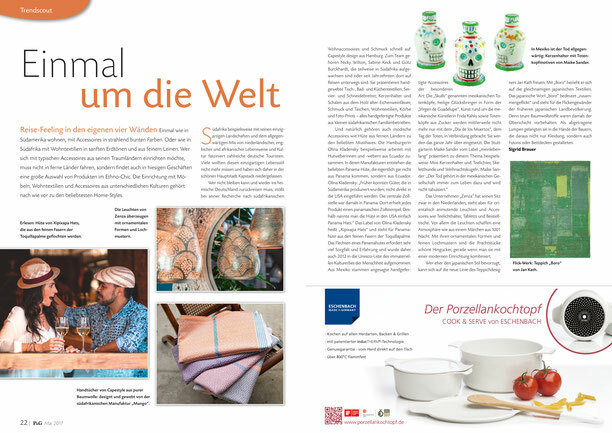 Xipixapa Hats gets a contribution in the current issue of the magazine MYWAY. 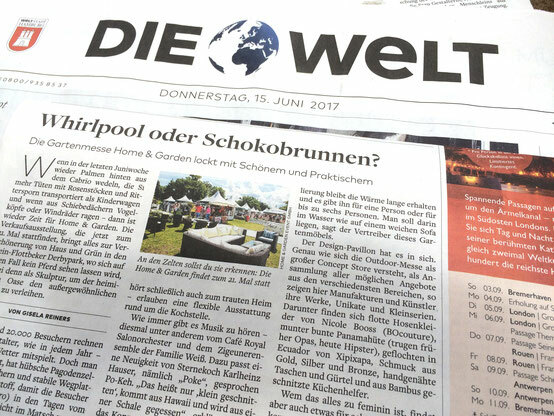 "Panama hats used to be worn by grandpas, now they are worn by hipsters"
in connection with the HOME & GARDEN fair. 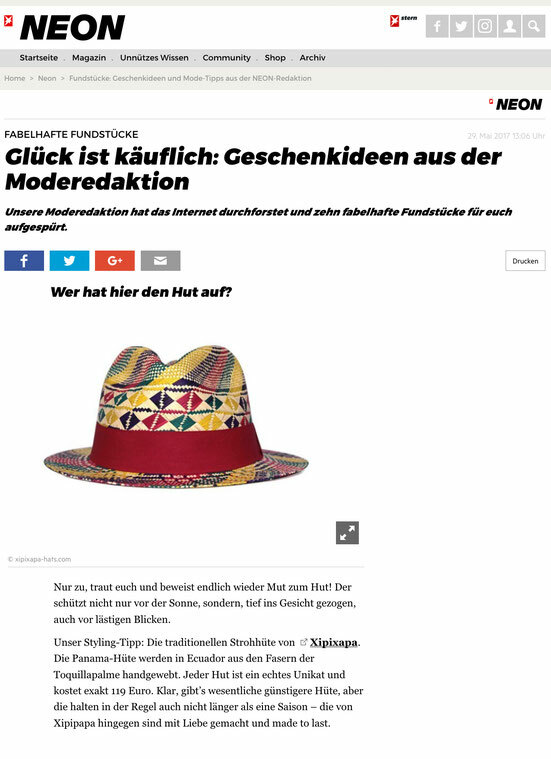 Xipixapa Hats in the current trend report of design portal "Schönes verbindet". Who takes the lead? Of course Xipixapa Hats! PRODUCTMATE announces Xipixapa Hats´membership on their Facebook page. 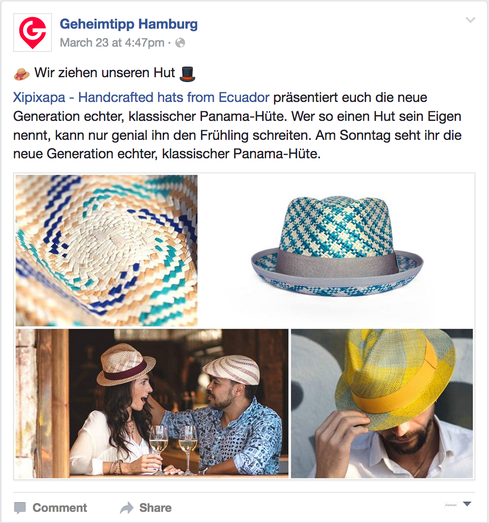 Geheimtipp Hamburg ("Best of Hamburg") presents Xipixapa Hats on their Facebook page. 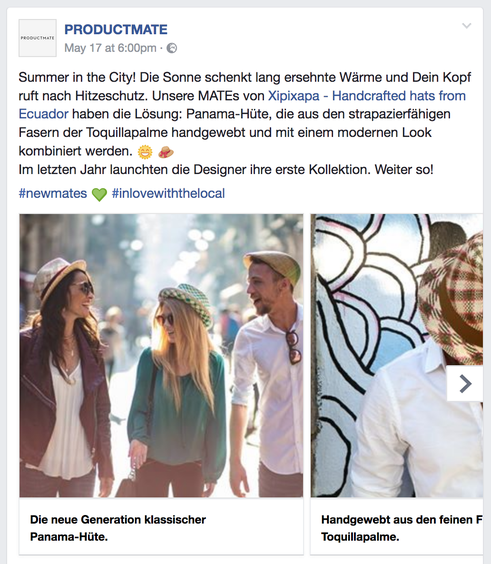 Geheimtipp Hamburg ("Best of Hamburg") presents Xipixapa Hats. 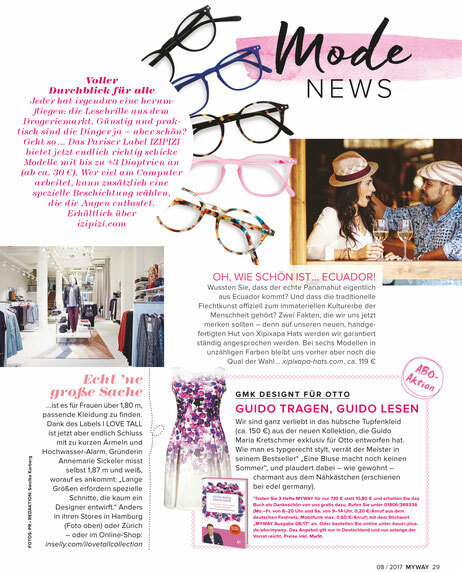 bulthaup ballindamm announces Xipixapa Hats on the bulthaup blog page.